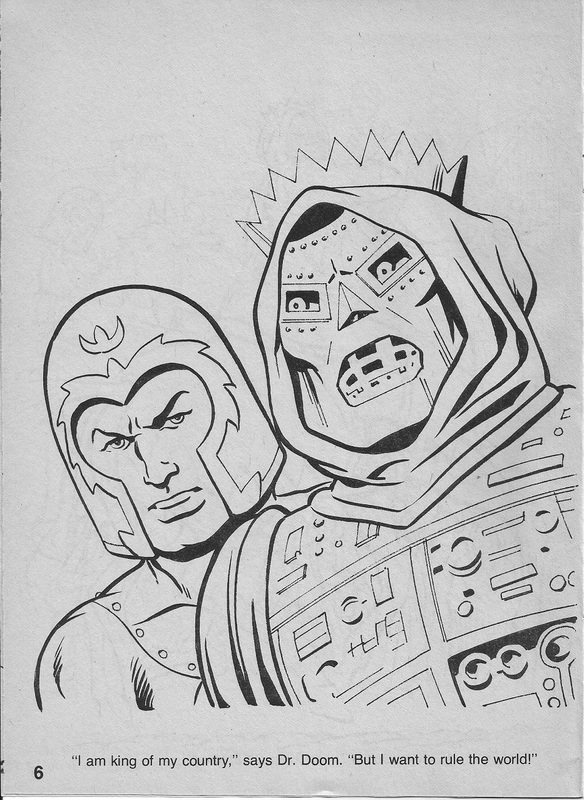 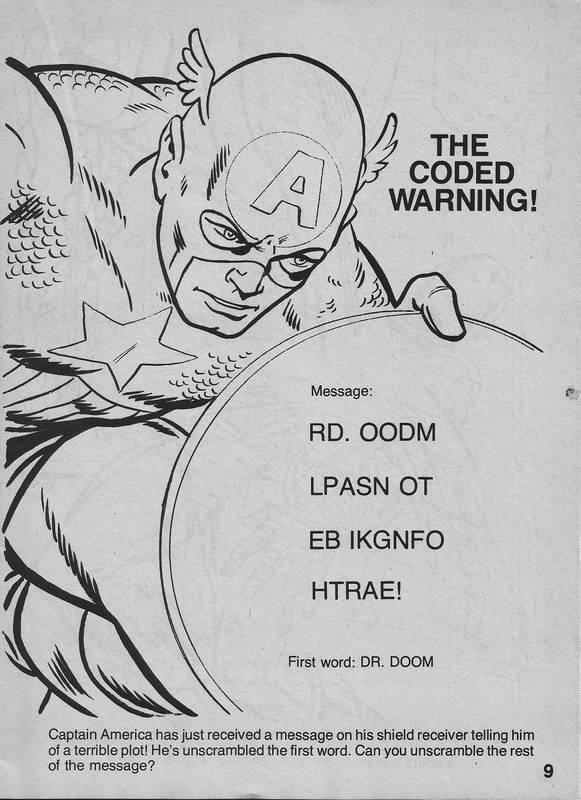 More Secret Wars here. 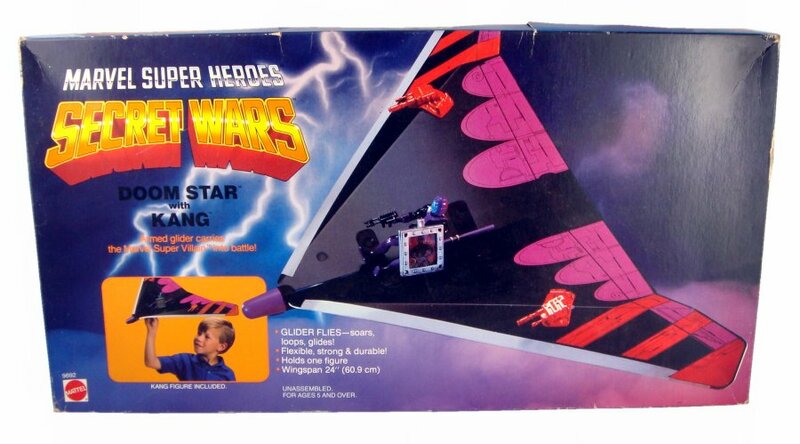 The toy line was generally hacky and cheap, but I love the look of these gliders. 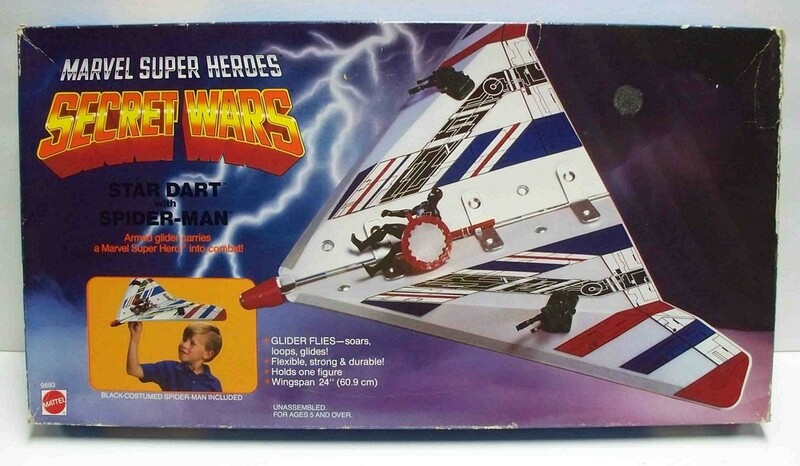 No doubt they were copped from Hasbro’s G.I. 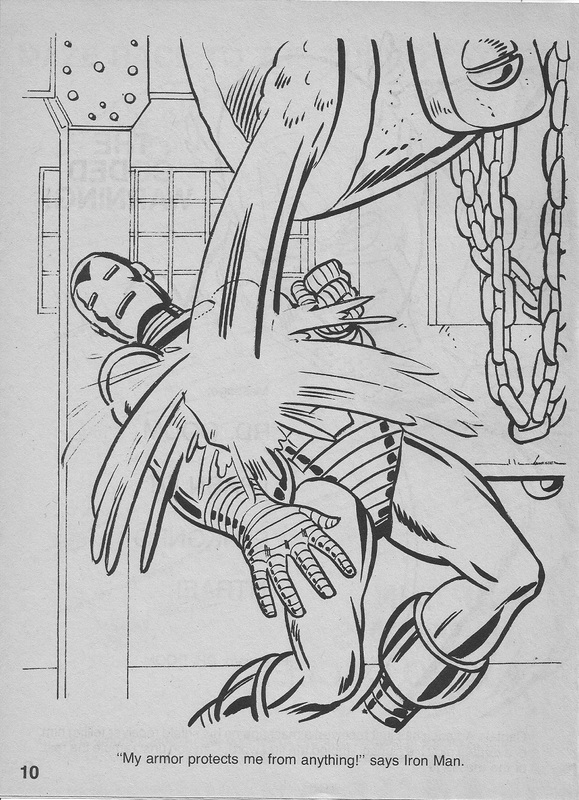 Joe equivalent. 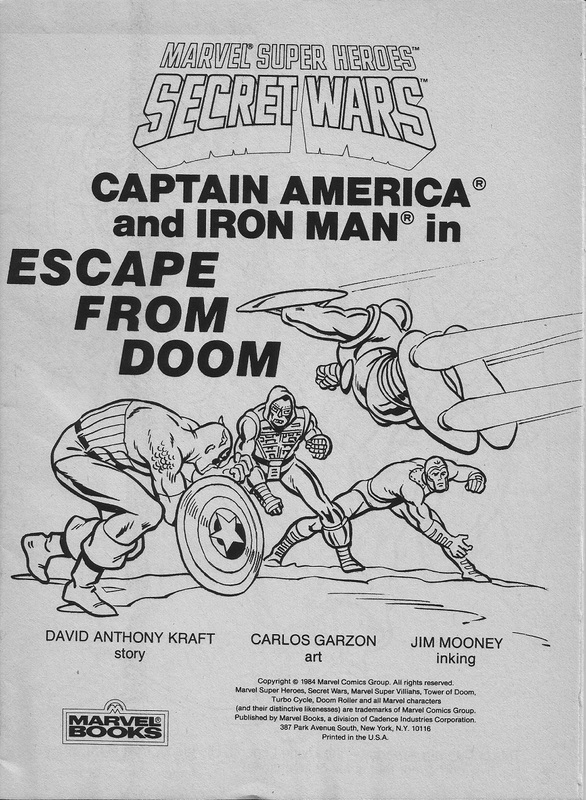 Secret Wars was Marvel’s first big crossover event. 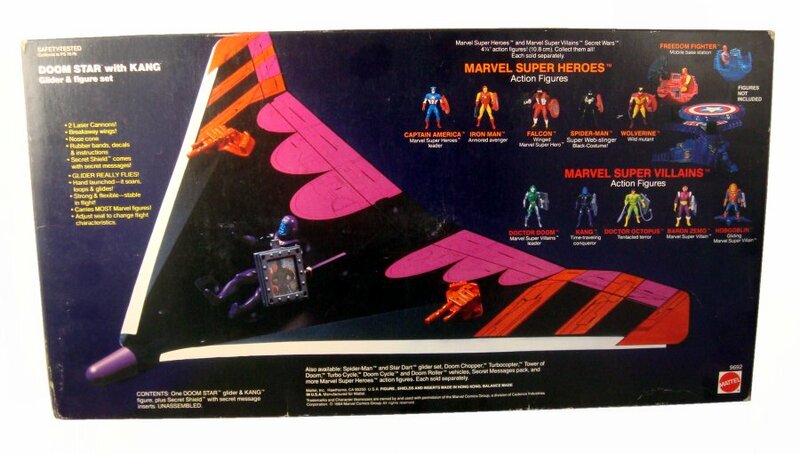 Mattel wanted to produce a Marvel toy line, but only under the condition that the toys be attached to a major event in the Marvel Universe. 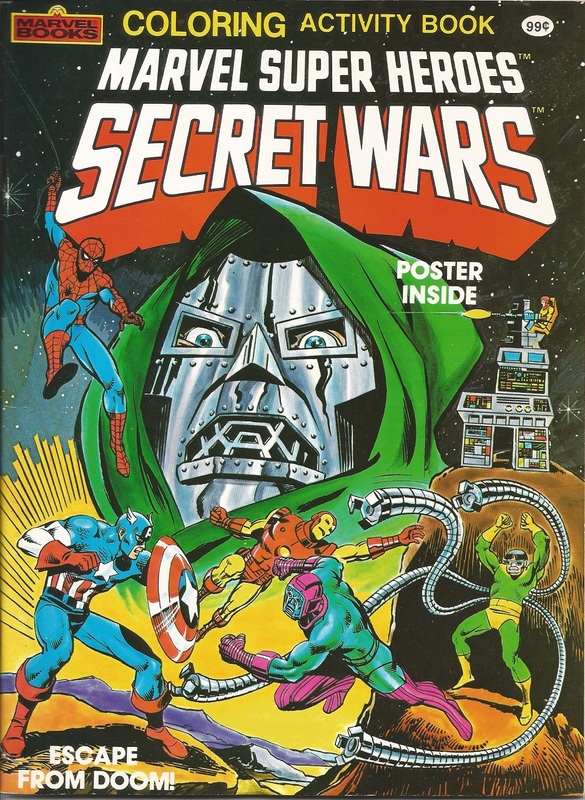 Secret Wars was the event. 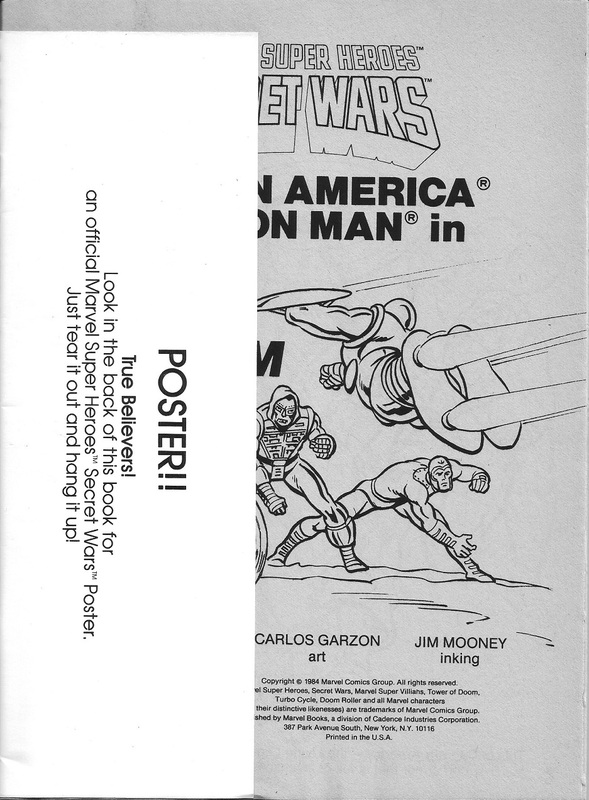 The story was meager—basically a grander version of 1982’s Contest of Champions, Marvel’s first limited series—but writer-editor Jim Shooter and especially penciler Mike Zeck managed to make it something special. 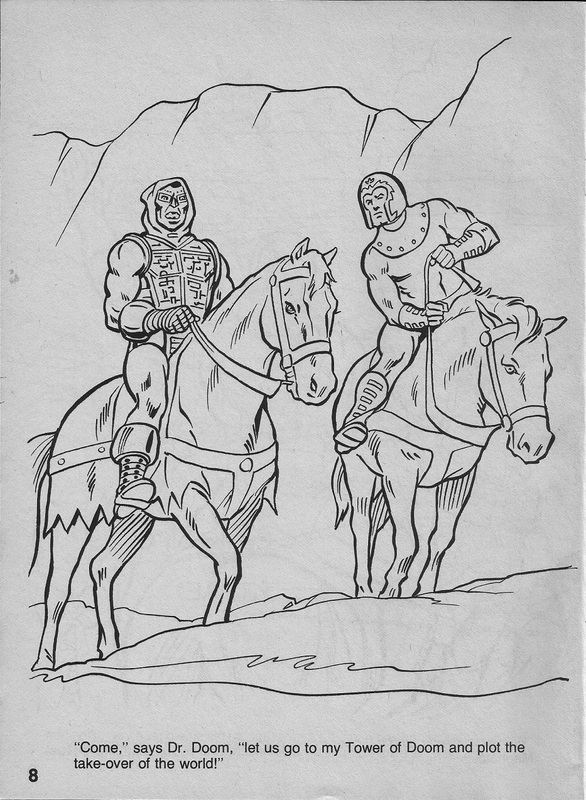 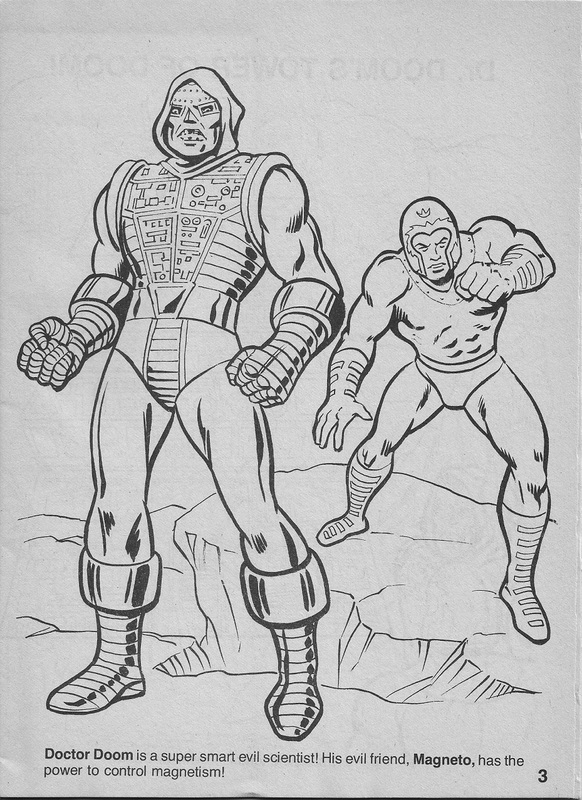 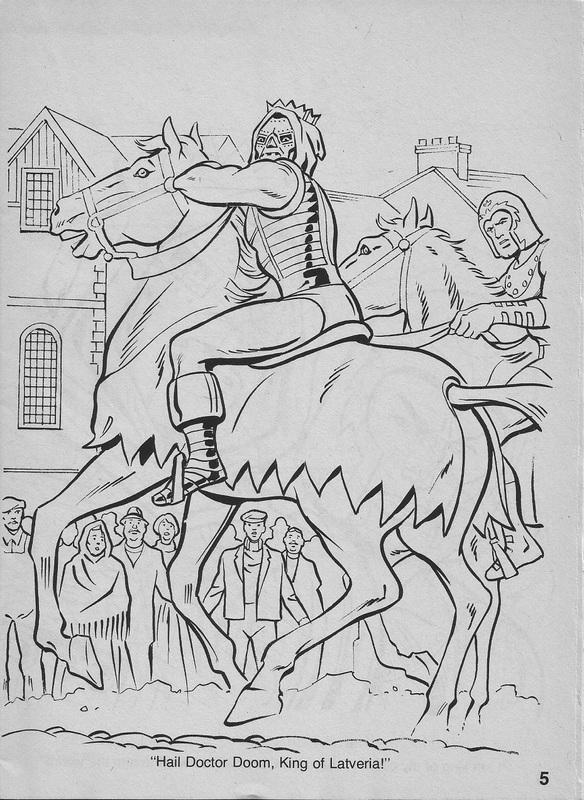 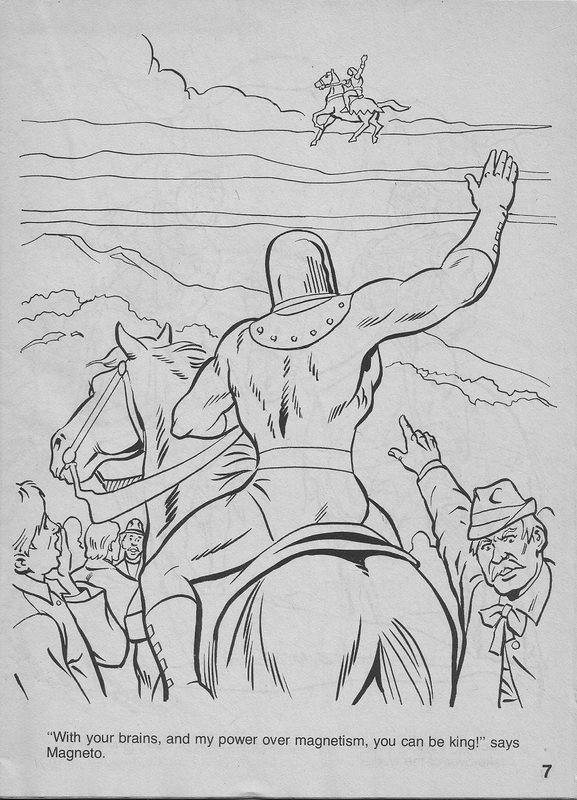 The Coloring and Activity Book has nothing to do with the comic, but it does feature many of Mattel’s cheaply made, uninspired toys. 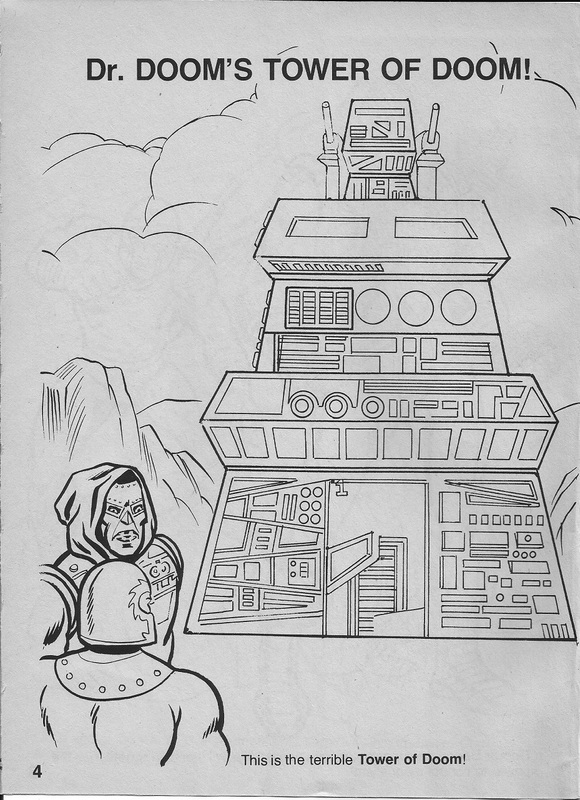 You’ll see the big ticket item, the Tower of Doom, above. 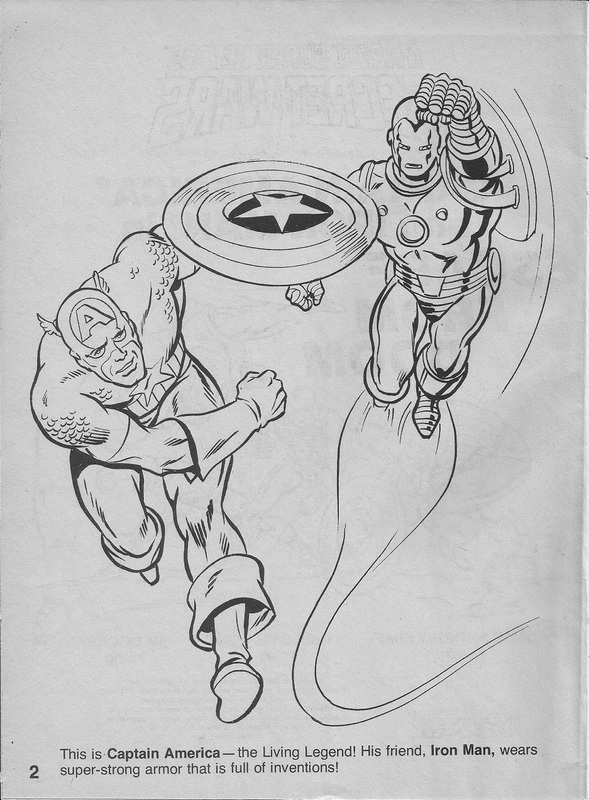 I talked about the Marvel Books imprint and artist Carlos Garzon here. 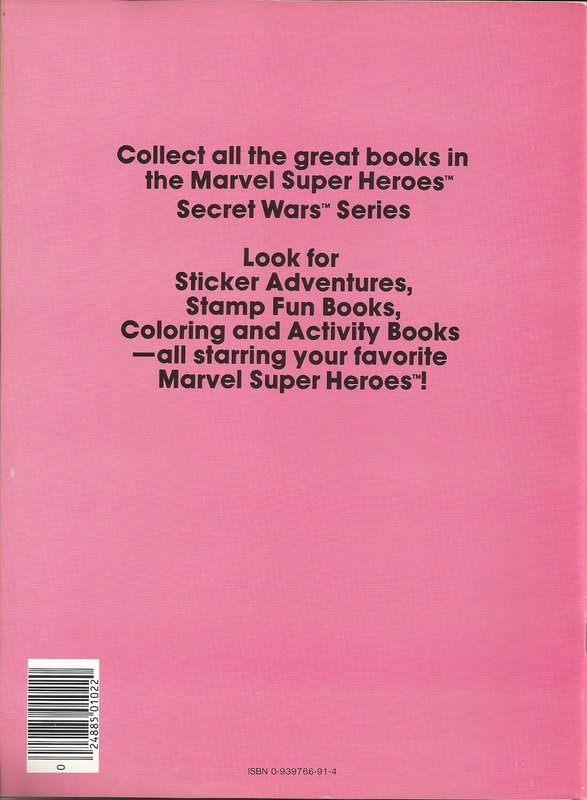 I’ve covered Jim Mooney’s work a couple of times: The Amazing Spider-Man: A Book of Colors and Days of the Week, and the AD&D Characters Coloring Book.